Calories in medium-sized ripen Banana is 105.4. 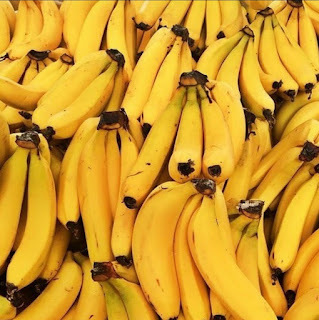 Don't feel bad after eating a banana by thinking you consumed 105 calories as there are other fruits which provide more calories like an apple provides 115 calories because if you see in terms of other minerals like potassium, sodium, and fibers banana is much more valued and perfect healthy fruit. Do not only see banana for its high sugar content but also see for its other nutrient combinations which are rare in other fruits. The banana provides good nutrition value and lots more benefits of banana; that will see in this article. Different stages of bananas provide different health benefits. One medium sized banana closed with safe envelope structure summoned you 12 percent of recommended daily values of nutrients. Some of the fitness consultants tell you Banana is not healthy for your diet due to its sugar ratio, in fact, some suggest banana for its nutritional value by stating banana is packed with healthy vitamins and a great source of energy. Let's clear this confusion about banana and find banana's nutritional value. Banana holds the good amount of soluble and insoluble dietary fiber and this helps in bowel movements. Soluble fibers allow the body to manage blood sugar level and cast off the fatty materials which include LDL cholesterol. Insoluble fibers provide bulk, weight, and softness to stools, making it simpler the intention to have everyday bowel movements. Thereby, improves constipation. Bananas are made out of three unique sorts of sugars: glucose, fructose, and sucrose. Glucose and fructose are immediately assimilated into the circulatory system and give a quick jolt of energy. Vitamin B6(pyridoxine) plays a catalyst role in the conversion of food into energy. Banana is a good source of Vitamin B6 and thus enhances body energy in no time. 358mg of Potassium in 100g of banana providing 12 percent of recommended daily value of potassium. Also, banana completes 16 percent of the recommended daily value of magnesium in your body. According to the American Heart Association, potassium-rich foods are important for controlling blood pressure. So, banana is the key fruit in controlling blood pressure. Some fitness experts state it's debatable for weight loss and weight gain. Some experts will tell you to avoid banana because they are higher in sugar content than other fruits. Pectin in the banana is the water-soluble fiber lowers total LDL(Low-Density Lipoprotein) in the body. Fibers stuffed in banana soak water in the stomach and acquire most spaces and make you feel fuller, which helps in weight loss. Fibers play important role in regular proper bowel habits and play a vital role in digestive health. Bananas, particularly yellow bananas, have potential to digest food easily and must consider it when you are sick with indigestion. If you eat a medium sized banana on daily basis it can provide you with 17 percent Vitamin C of recommended daily value. Also one medium size banana gives 13 percent of manganese daily need; manganese help body makes collagen which keeps your skin younger. Banana and their peels are full of antioxidants which give you a revitalizing effect on the skin. Either you apply banana mash or rub a banana peel on your face both will help in fading your blemishes or scars. The banana peel helps in treating acne(I will share in my coming post). The body needs Potassium, Magnesium, Vitamin B complex, and Vitamin C to keep bones strong, banana is the jackpot of all these for maintaining strong bones. Magnesium is important for bone strengthening process. Banana contains elements like tryptophan and amino acids which aids in creating the happy mood. Imbalance in tryptophan and amino acid level fails to create a neurotransmitter called serotonin which regulates mood and sleep and hence disturbs the mood. But Banana holds all those elements and moderate the body to create feel-good hormone. Banana contains the good amount of Vitamin B, which gives a calming effect on the mind and make you feel more relaxed and at peace. Vitamin C is the key vitamin because it helps in repairing tissue, any wound, and can help wound heal than some other fruits. A raw or green banana contains more pectin fiber which aids in wound healing. Last but not least, bananas increases the sexual desire as it is packed with minerals like potassium, bromelain, and various vitamin- B complex like vitamin-B6. These all play a vital role in the production and regulation of sexual hormones. With this natural aphrodisiac properties, banana can increase libido, sexual function and enhance stamina. Combine all the ingredient in the blender including vanilla extract. to give good smell and taste we add vanilla extract. Blend until smooth and add ice cubes. Serve immediately. Enjoy healthy and protein-rich Peanut Banana Smoothie in this hot summer. Amazing stuff and lot of information you share.. appreciated!! Great article. Keep it up. Thanks.